The following is a special IKONOS satellite image gallery of 13 ancient observatories around the world. Known for their ability to precisely align with the sun, moon and stars, these observatories are scientific marvels – then and now. The IKONOS satellite imagery captures the beauty of these ancient structures and allows viewers to see the architecture in relationship to its surroundings, creating a wonderful visual experience. All of the images were taken from 423 miles in space as IKONOS moved over the Earth in a north-to-south orbit at 17,000 mph. Users will be able to zoom in and out of images and explore every detail of these historic landmarks. Since IKONOS ushered in a new era of commercial high-resolution Earth imagery, it has documented the ever-changing world with more than 1.7 million images – the most of any commercial high-resolution satellite. 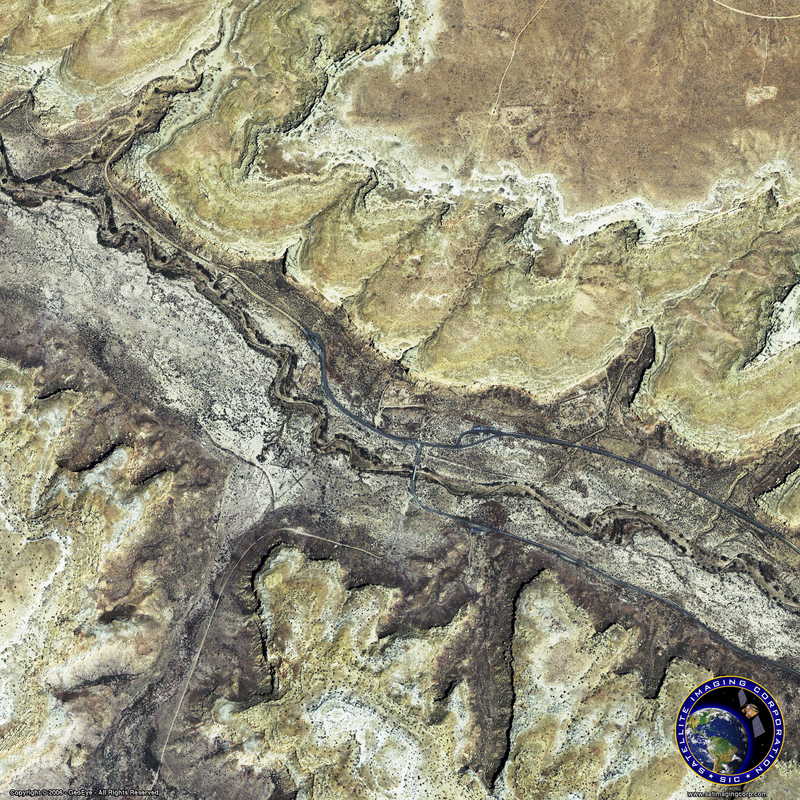 Many of these images and hundreds of other satellite images can be purchased as posters at Space Imaging’s online Poster Store at http://store.spaceimaging.com/. 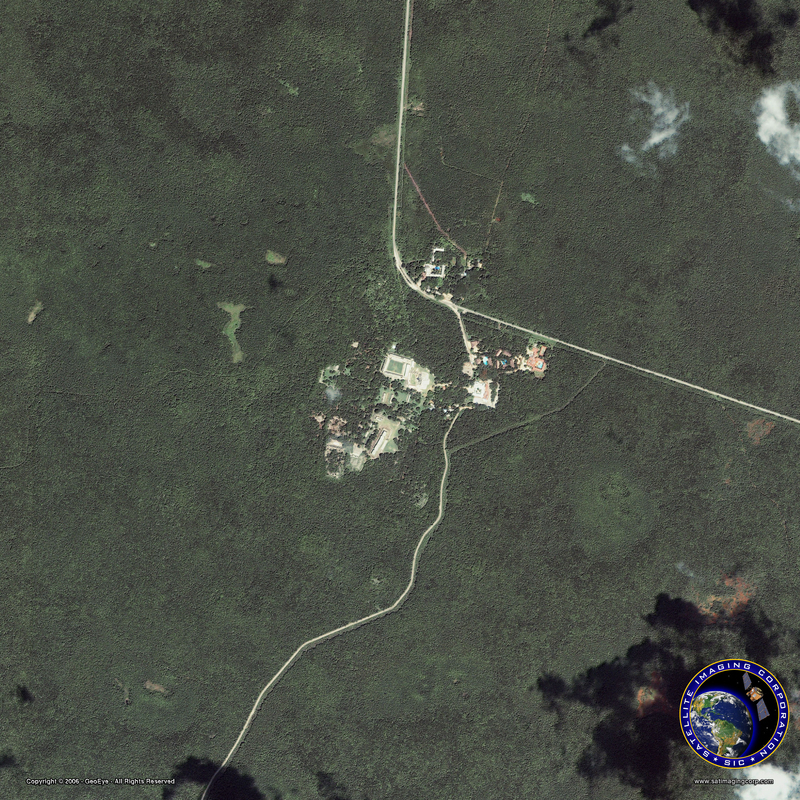 Please note that all images are Copyright © 2001-2007 Satellite Imaging Corporation. All rights reserved. Presented with permission. 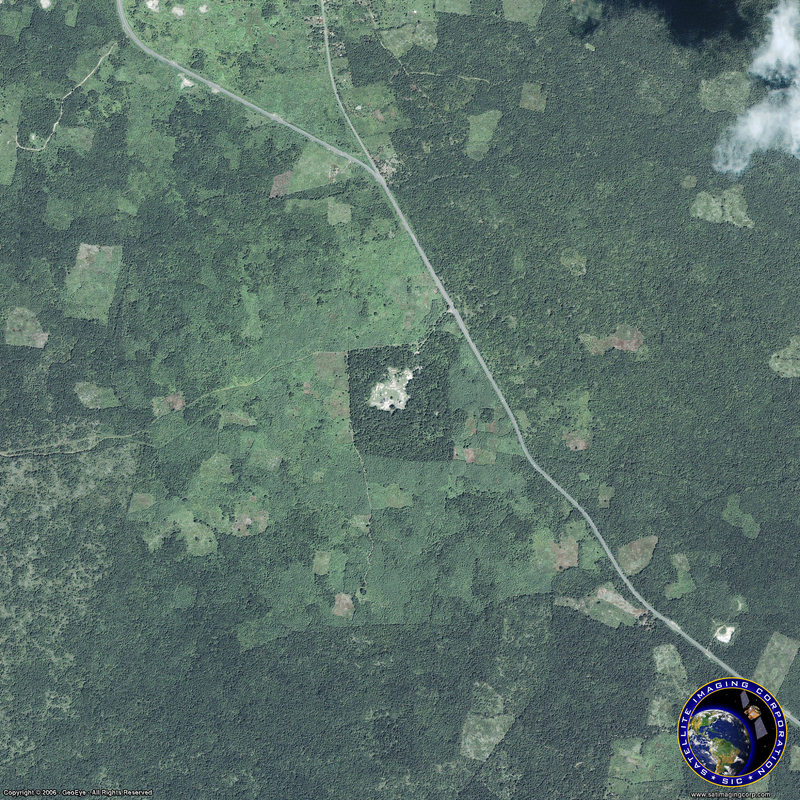 GeoEye is the world's largest commercial remote sensing company, delivering the highest-quality, most accurate imagery to better map, measure, monitor and manage the world. 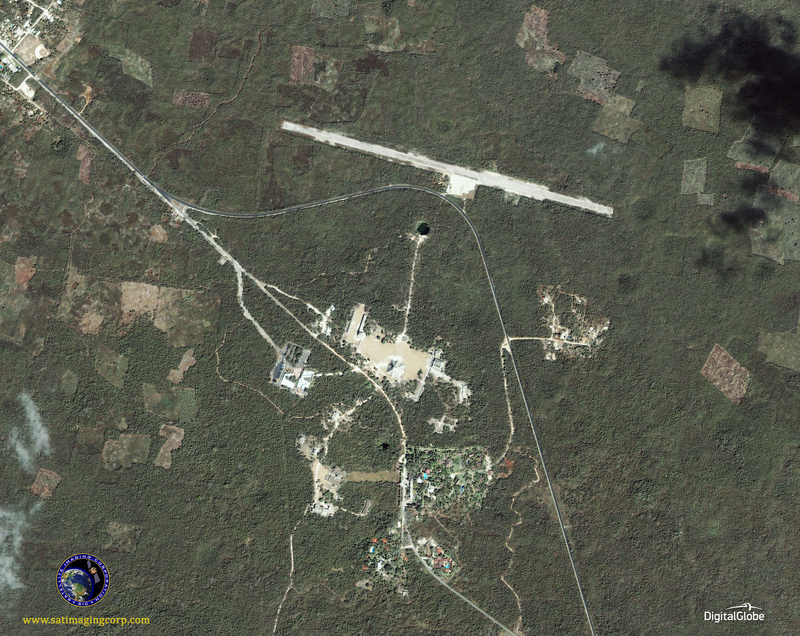 GeoEye was formed as a result of ORBIMAGE's acquisition of Space Imaging in January 2006. GeoEye owns and operates three earth imaging satellites: IKONOS, OrbView-3, and OrbView-2, and has GeoEye-1 under development. GeoEye has built a fully integrated receiving, processing, and distribution network for delivering high-quality imagery products to customers around the world. Satellite Imaging Corporation is the official Value Added Reseller (VAR) of imaging and geospatial data products for GeoEye and SPOT Image. 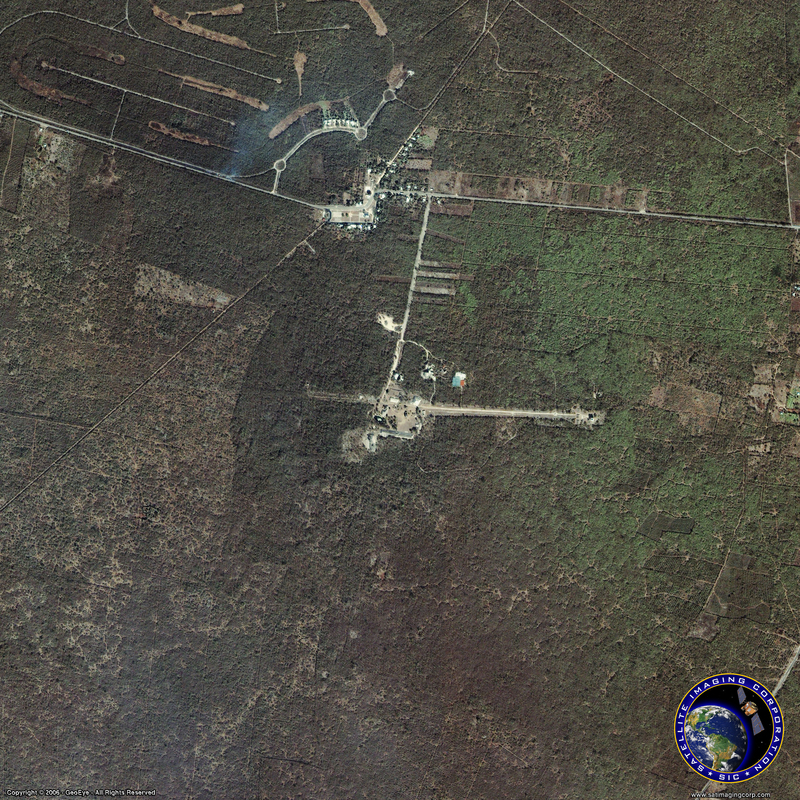 Satellite Imaging Corporation ( http://www.satimagingcorp.com ) is a global provider of Geospatial and high-resolution satellite images from Satellite Sensors like IKONOS, QuickBird, LANDSAT, Spot-5, Aster and other sensors. 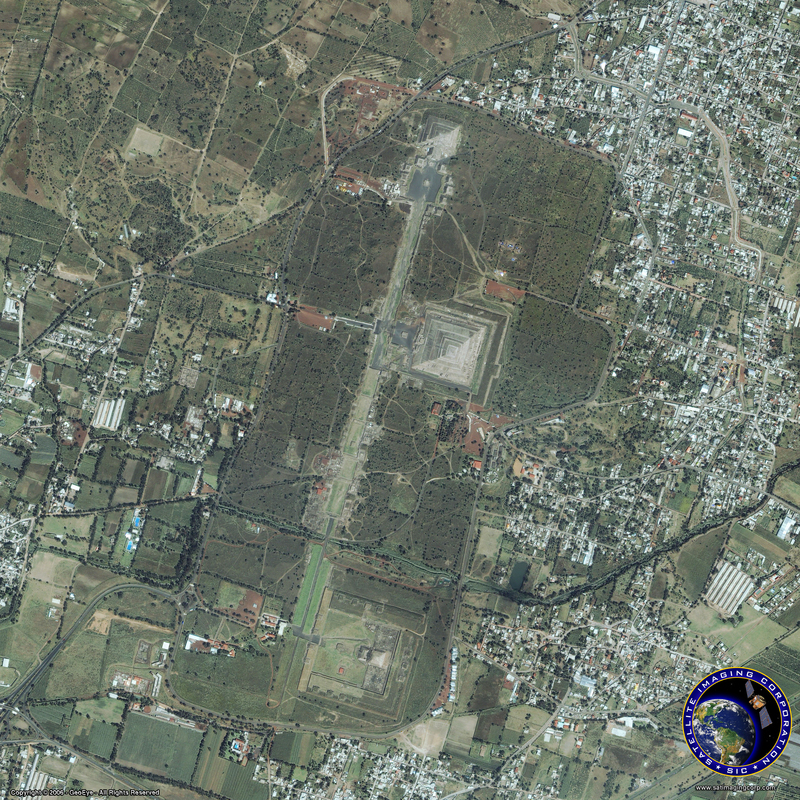 SIC also provides Geographic Information Systems (GIS) services, and mapping solutions. 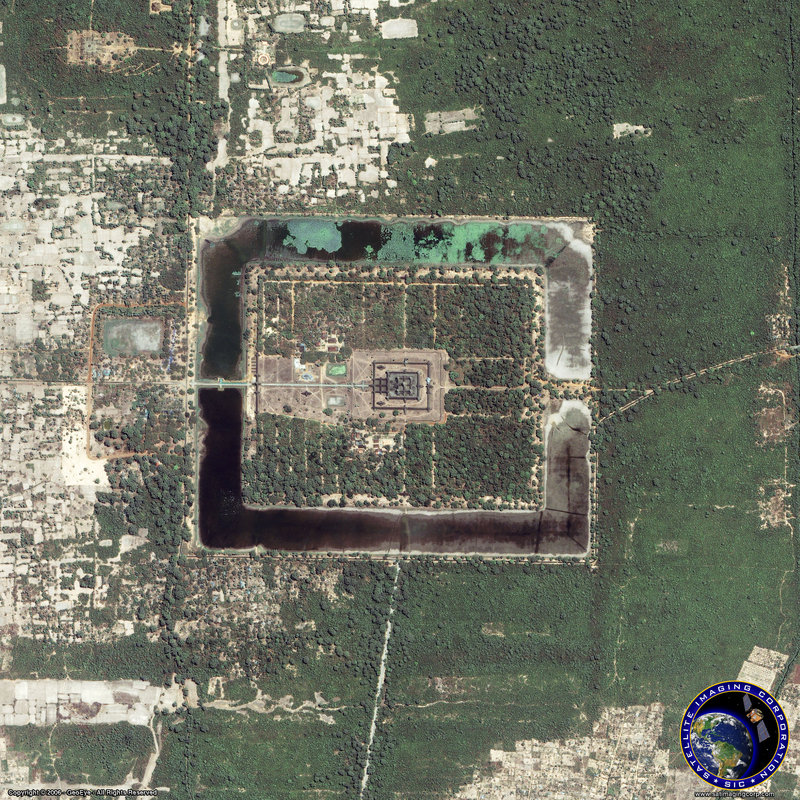 Created as a constant reminder of a greater cosmic order, Angkor Wat shows several apparent solar alignments with a nearby mountaintop shrine. A person standing at Pre Rup, six kilometers away, could watch the sun set over Angkor Wat at winter solstice. A person standing in the southwestern corner of the temple could watch a rising sun through the eastern gate during the summer solstice. Casa Rinconada, built between 1070 and 1110 AD, sits on an isolated hill about one-half mile across the canyon from Pueblo Bonito. One of the six great community kivas in the area, the structure is about 20 meters across and four to five meters deep. 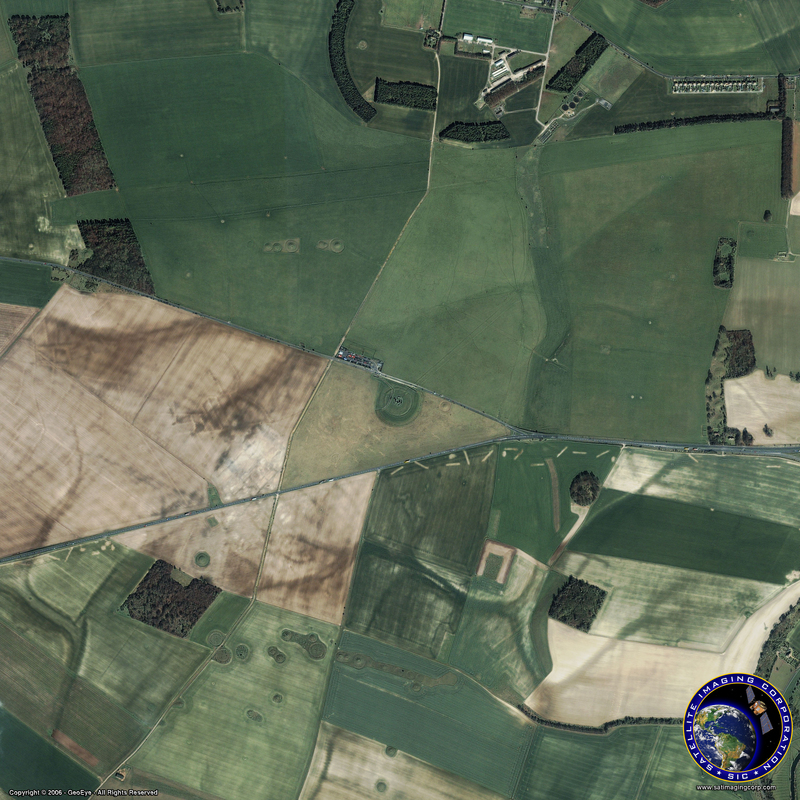 A 1970s survey of the area found this site to have precise solstice and equinox alignments. The main axis of the kiva is aligned through doorways on both the north and south sides. Modeled on a perfect circle, niches in the interior form an east-west line. Scientists who measured the alignments of these features found the accuracy of the north-south alignment to be within 45 arc-seconds or three-quarter of a degree while the error in the east-west alignment is only eight arc-seconds. Solar alignments occur on the winter and summer solstices when sunlight entering the kiva falls upon one of six irregular niches. From a given niche, the sun framed in the narrow window could be seen. In a spectacular show of shadow and light, a shadow representing the Feathered Serpent god Kukulkan slides down the northern stairway of Chichen Itza during sunset of the equinoxes and then vanishes. The square, stepped pyramid, built by Mayans in about 1000 to 1200 AD also has axes that orient with the rising point of the sun at the summer solstice and setting point during the winter solstice. Many think the pyramid also serves as a calendar. Each of the four faces of the pyramid has a stairway with 91 steps. With the addition of a shared step forming a platform at the top, this totals 365, the number of days in a year. The stairways also divide the nine terraces on each side into 18 segments, representing the 18 months of the Mayan calendar. The highlight of Dzibilchaltun, or "Place of Stone Writing," is watching the equinox sunrise through a door of the Temple of Seven Dolls. The Mayan city, first built in 300 BC, was occupied when Spaniards discovered the city. 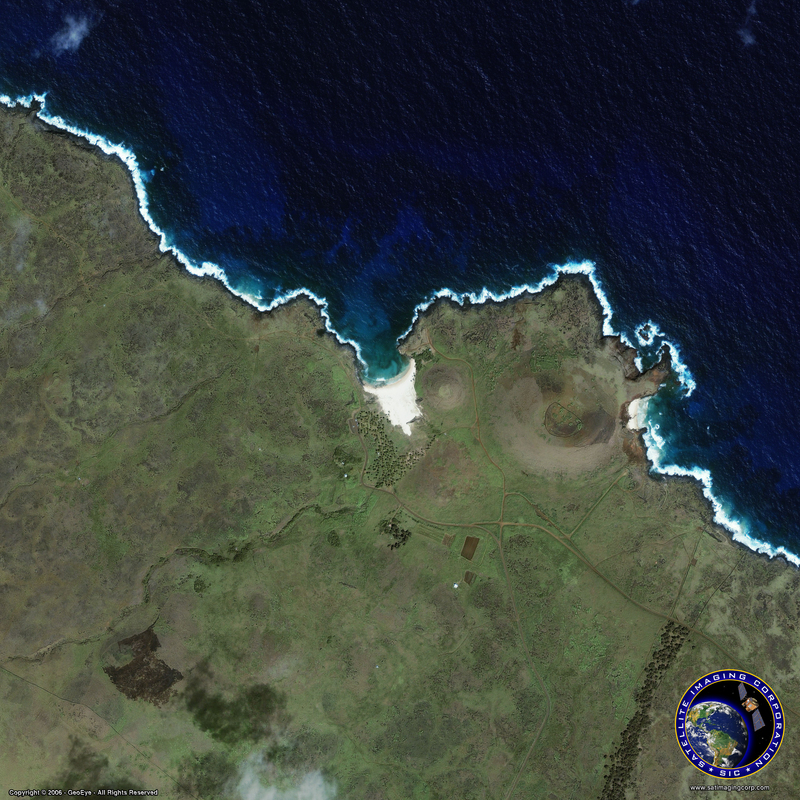 GeoEye's IKONOS satellite took this image of eastern Easter Island on December 6, 2003. Called the Navel of the World, Easter Island is home to over a half-dozen volcanoes and more than 880 statues called moai (pronounced mo-eye). Ranging from just a few feet to more than 30 feet tall, the enigmatic statues weigh up to 150 tons. They were hewn from volcanic material from quarries on the slopes of the Rano Raraku volcano sometime after 300 AD. While nearly all of the moai face toward the interior of the island, seven moai at Aku Akivi, not shown in the image, face towards the ocean and a point on the horizon where the sun sets during the equinox. Explorer, Captain James Cook gave the island its modern name in 1774. GeoEye's IKONOS satellite took this image of Machu Picchu on September 8, 2003. One of the most famous Incan cities in the world, sun alignments are found throughout Machu Picchu. Many features, including the Sacred Plaza, The Temple of Three Windows and The Intihuatana platform, align with the summer solstice azimuth of 65-245 degrees. Scientists believe these alignments were primary considerations in the construction of the shrines. A shaft of light, shining through an east-facing window, reportedly illuminates The Torreon, or Temple of the Sun, during the summer solstice. The city was built between 1460 and 1470 AD at an altitude of 8,000 feet. Mayapan, reaching its zenith around 1200 AD, represents one of the largest assemblages of Mayan ruins in the Yucatan and is one of the few walled Mayan cities. The largest pyramid is the Castle of Kukulkan, made as a smaller replica of the Castle of Chichen Itza. Mayapan also is home to many circular buildings, or observatories. The Mayas astronomical knowledge helped them predict the exact time of solar and planetary events and aided in the creation of precise calendars. Possibly the world's most recognized ancient observatory, Stonehenge's ring of stones was built more than 5000 years ago on a wind-swept hill near Salisbury, United Kingdom. Recent theories support construction in about 2000 BC by a late Neolithic people known as the Beakers. Their addition to the project included adding a double ring of stones inside the original earthen henge. More than 80 "bluestones," some weighing up to four tons, were transported several hundred miles from quarries in Wales. Controversy surrounds some of the possible stellar alignments at Stonehenge, but on the longest day of the year, the summer solstice, the rising sun does appear behind the "Heel Stone." As the sun rises, the shadow cast by the Heel Stone creeps up the length of rock and into the heart of the five interior "sarsen" pillar stones. Rising 20 stories above the central Mexican highlands, the pyramids of Teotihuacan (pronounced tay-oh-tee-wah-con) were central to Toltec learning and culture. The city, about the size of ancient Athens and Rome, was abandoned about 1500 years ago. Using an advanced understanding of mathematics, geometry and astronomy, the Toltecs built the largest pyramid, "The Pyramid of the Sun," with an alignment to coincide with the two days (May 19th and July 25th) when the sun would be directly over the top of the pyramid at noon. This would also create an alignment to the east toward the rising sun and to the west for the setting sun. This pyramid has a base only 10 feet shorter on each side than the Great Pyramid of Cheops in Egypt. Founded in about 500 AD, Uxmal (pronounced "oosh-mahl") was the most powerful site in western Yucatan. Many of the buildings rely simply on well-cut stones with no mortar. Astronomical alignments at Uxmal surround the planet Venus. The orientation of the long Palace of the Governor acts as a sighting with other buildings at Uxmal pointing to the southernmost rise location of Venus, which occurs once every eight years.